FunFair is set to bring an end to rigged online gambling platforms by using blockchain technology to power fair and transparent casinos. Blokt caught up with FunFair’s CCO to talk about the project and the latest developments in this space. What Is Provably Fair Gaming, and Why Is It Needed? How Do Fate Channels Work? Obviously, this is no great revelation, and casino players and those who enjoy gambling know that this is par for the course in any and all major casinos. However, what is not known with any great degree of confidence, even if the casino reports it, is the house edge that an online casino operator truly has over its players. Although the majority of casino operators act honestly, there are those who game the system; rigging the odds in their favor by tampering with the randomness of game outcomes. 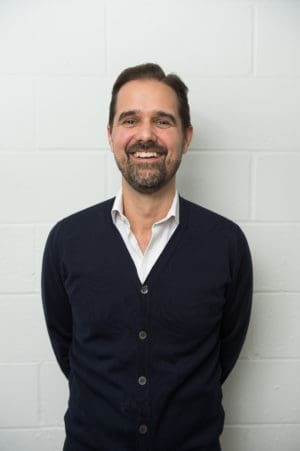 But there’s one UK based company whose proprietary technology promises to bring an end to the era of unfair online gambling, and they’re on a crusade to bring fun, fair and transparent gaming to casinos and players worldwide – the aptly named FunFair. 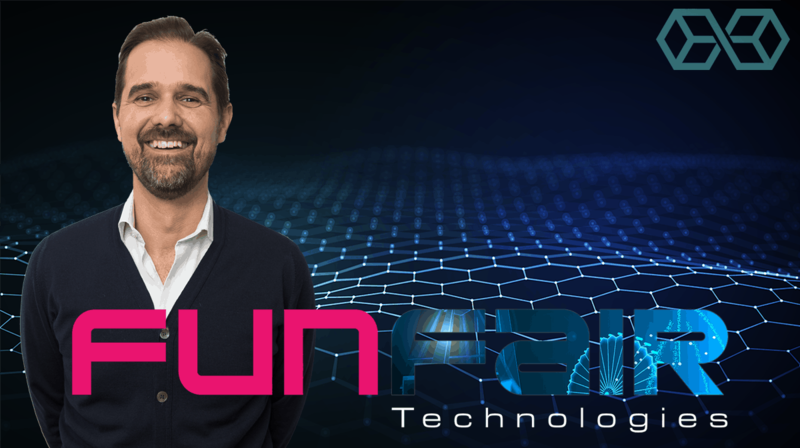 Blokt caught up with Stefan Kovach, CCO of FunFair, to talk about their latest developments, the outlook for the future, and how they identified a need for provably fair gaming. 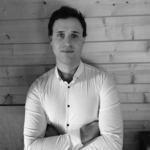 Co-founded in 2017 by Jez San, the gaming industry veteran behind 3D poker site PKR.com, experienced developer Oli Hopton, and long-time technology manager Jeremy Longley, FunFair is a live blockchain casino platform which solves many of the randomness issues which are currently rife in the gambling industry. 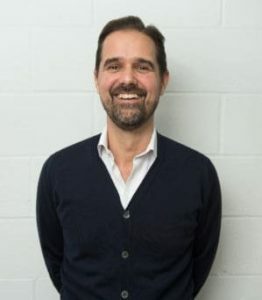 San was awarded an OBE for his services to the British tech industry, and has a long history of innovating in the technology sector, helping to develop the very first 3D graphics chip which made the development of the classic Nintendo game Star Fox possible; after which he moved into gaming, and eventually into the world of decentralized technology. FunFair was founded around two principles, fun and fairness, and the FunFair team are using blockchain to bring players provably fair and premium gaming experience. As we briefly discussed in our introduction, certain aspects of online gambling take place behind closed doors. Operators who don’t play by the rules could be intentionally changing the odds in their favor, and realistically, for the average Joe gamer, this would be incredibly hard to prove. Likewise, players must trust that online casinos are enacting the correct custody of their funds. For example, an online poker player who wishes to stake $10,000 during a game must trust that the casino will adequately protect their large lump sum deposit. More importantly, the player has to be confident in the knowledge that if they win, the online casino will pay out their winnings in full and on time. Although larger gaming operators are less likely to engage in nefarious activities due to their frequent auditing and reporting requirements; less well-regulated gaming sites may take the opportunity to defraud players, knowing they’re unlikely to be exposed. However, this isn’t just an issue for casino players. For honest small gaming operators out there, it’s difficult to attract and keep new players, who feel they may have a fairer experience with a larger operator. Blockchain, due to its immutable and open source nature, offers transparent and auditable code, as well as funding custody services which are always in the players’ control. This gives players “provably fair” gaming solutions. Typically, blockchain solutions have encountered problems with scalability – in short, the ability to process many hundreds or thousands of transactions in a short space of time, an integral feature for online casino operators. As it happens, FunFair has a solution for that too. FunFair solves blockchain scaling for gaming scenarios through its proprietary “fate channel” technology, a key feature of FunFair’s technology stack. But FunFair hasn’t left anything to fate, here’s how fate channels and their native FUN token work, and what they solve. Eliminating either party trying to fiddle the odds in their favor. The FUN token is a native Ethereum ERC-20 token which underpins the FunFair ecosystem. Used for player wagers, casino license fees, game developer rewards, and affiliate revenues, the FUN token allows FunFair ecosystem participants to transact transparently, with greater speed and security than what other tokens would offer. With so many established and traditional casino operators already incumbent in the space, what advantages does FunFair offer which will give it a competitive edge in disrupting the online gaming space? In addition to the clear financial benefits realized through FunFair’s platform, Stefen also pointed out that the huge blockchain and crypto audience is waiting in the wings to use a blockchain based gaming solution. Fate Channels – Development of FunFairs proprietary fate channel solutions, now stable on its mainnet and implemented with its first casino launch. CasinoFair – Launch of FunFair’s first live casino, available in 22 countries. The CasinoFair platform features 13 fully-functional quality FunFair game titles, a blockchain first, built by experienced game designers, including titles by Spike Games. Gaming Events – FunFair have kept up a consistently high presence at some of the largest gaming industry events in the world, including ICE London, SiGMA, G2E Vegas and G2E Asia; where they’ve generated numerous leads and brought on new white-label partners. FUN Token – Successfully used in the completion of its raise in 2017, the FUN token is now trading on Binance, LATOKEN, HitBTC, and 20 other exchanges, with more going live soon. Rake the Rake – FunFair has announced a partnership with popular poker affiliate, Rake the Rake, who will be the first casino partner to go live on the FunFair platform. As an affiliate platform, Rake the Rake has access to hundreds of thousands of potential players. During the CasinoFair proof of concept launch, the FunFair team have gained valuable insight into player behavior, promotion and campaign offerings which could be implemented with new clients, in addition to identifying and improving the UI/UX of their platform; so users have a seamless experience out of the box. To accelerate their launch and the success of new operators using their platform, the FunFair team are gearing up for a dedicated affiliate program, opening the doors to vast new market opportunities. We wish the FunFair team the best of luck in changing the future of online gaming.